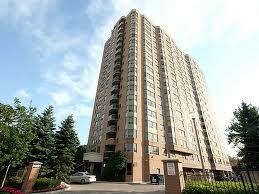 The Residences of Ridley is convenient high-rise living in a quiet cul-de-sac near Avenue and Wilson. Exclusively focused on two-bedroom units, the Residences of Ridley puts you blocks away from Avenue Road's stylish shops, cafï¿½s, and dining, in a leafy, peaceful residential neighbourhood. Appointed with an elegant lounge, whirlpool, and outdoor pool, the Residences of Ridley gives you easy access to schools, community centres, and multiple religious community spaces, all within easy reach of TTC routes and Highway 401.
and Spadina subway lines and highways 401 and Allen Road are near by.